A pre race sample was taken from Spicy Blast. A pre-race sample was taken from Maximum Jan.
Quick Deffence was slow to begin. Lireva and All Inn Misshap collided soon after the start, checking Lireva. All Inn Misshap, Spicy Blast and Macs Model collided approaching the first turn, checking Spicy Blast, Macs Model and Quick Deffence. Lireva checked off Maximun Jan approaching the home turn. Spicy Blast and Macs Model collided on the home turn, checking Spicy Blast. Stewards spoke to Ms. R. Groom and Mr. S. Waycott regarding an incident that occured on Monday the 11th of June 2018 at the Shepparton Greyhound Racing Club. Stewards issued a warning to Mr. Waycott in regards to following club staff directions. Bro's Little Gem trialled over the 450m from box 1, weight 27.6kgs, the greyhound was placed 1st in a field of 4. The time of the trial was 25.55, the greyhound won by a margin of 0.25L. Bro's Little Gem was cleared. 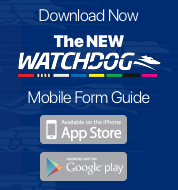 Quavo trialled over the 450m from box 6, weight 29.1kgs, the greyhound was placed 3rd in a field of 4. The time of the trial was 25.55, the greyhound was beaten by a margin of 0.5L. Quavo was cleared. 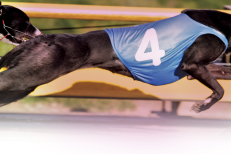 It Is Done trialled over the 450m from box 8, weight 27.2kgs, the greyhound was placed 4th in a field of 4. The time of the trial was 25.55, the greyhound was beaten by a margin of 7.5L .It Is Done Done was cleared.